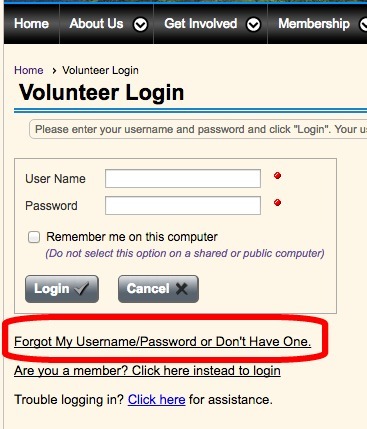 This function allows you, as a Conejo Valley Village Volunteer, to assign yourselves for services requested by members. Service requests can be self-selected without the call managers being involved. and you will be asked for your email address and first name. Fill this out and select OK. 2. After you hit the OK button, you will receive an email with a temporary user name and password. Check your email inbox in a minute or so. something that is easier for you to remember. 4. After changing your user name and password go back to the login screen and log on. This time check “Remember me on this computer” unless you are using a public computer, such as at a library. 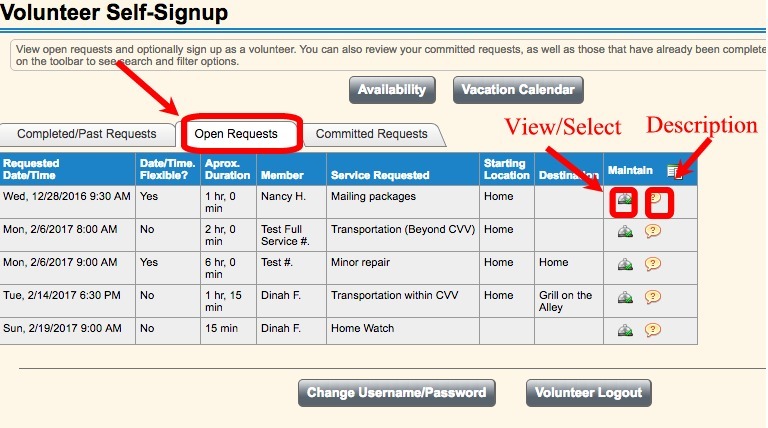 Once you login, you will see the Volunteer Self-Signup screen with a Search Service Requests screen. If you would like to see all open service requests close the search screen. 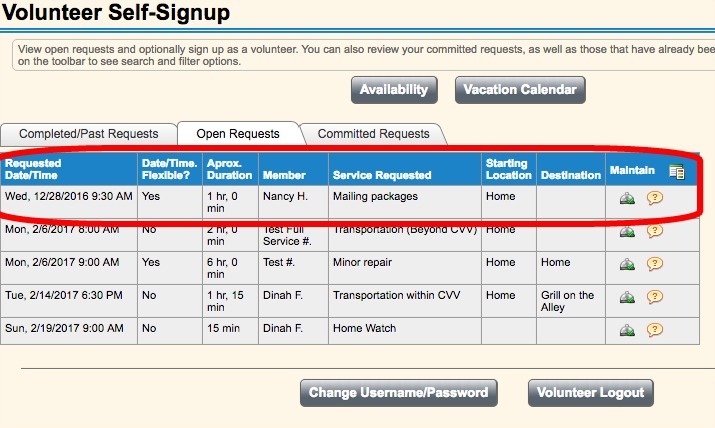 The Volunteer Self-Signup screen opens with the Open Requests tab showing those service requests waiting to be filled. request’s Short Description in a small popup.